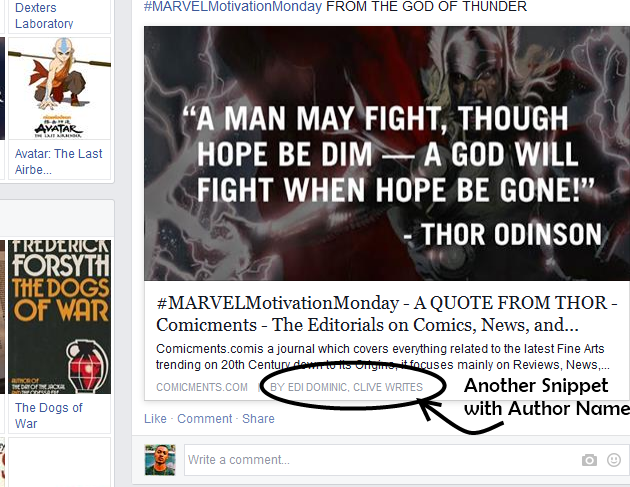 There're More on Social Media which you can read here, but I recently started noticing something on Facebook, when people share posts from websites and blogs, this New Feature displays the author (Website Owner's) Name below the snippet of the shared post on Facebook. SNIPPETS are a small piece or small bit, scrap, or fragment having summary or description of a website or post that was shared on Facebook or Results after you search for keywords on Search Engines like Google. The Advantage with this snippet feature, it will help Readers know who owns and Authors your various blogs, so they can easily find and keep in touch with you more closely. To assure you of how valuable this feature could be, I checked around and found few popular bloggers that have already taken advantage of the tool. 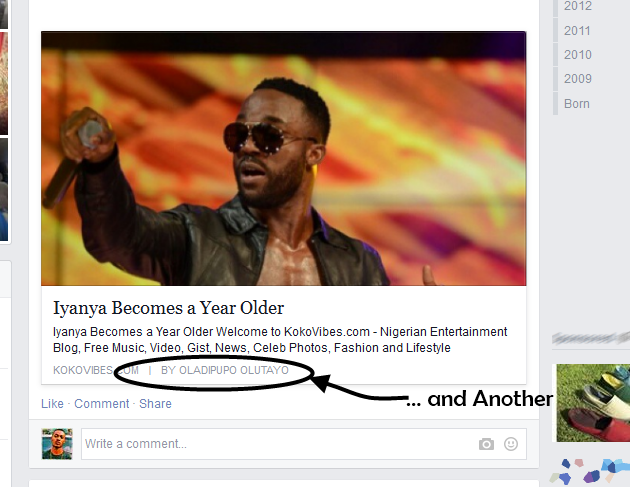 That's a snippet from +Jide Ogunsanya , a smart blogger who's using the tool. Once he shares or his visitors shares his stuff on facebook, it displays his name underneath the post, as the owner of the blog from which the post/link was shared. So we can easily know who owns which website/blog. 1. Login to your Blogger/Wordpress dashboard. 3. Replace YOUR NAME with your own name. 4. Click Save, then give it time for it to take effect. Effect will not be instant because this tool is not like other codes which you used for designing your blogs, this is actually a META-TAG, it would take about 15 - 30 minutes for Google to crawl your template and Save that change. This meta tag doesn't only apply on helping you display Author name on Facebook shared posts snippets, it also helps your site look more detailed and descriptive on Search engines and especially Social Media. There're more meta-tags out there but this particular one is found relevant. Hope you found it useful, Please take a second to Hit our SHARE or LIKE buttons to let your friend's know about it. Do you have video to do that bro because I can't do it. I hope you'll respond my comment soon. Thank for your work. When you find it then follow the rest of the steps above. Awesome post, this post is really helpfull. 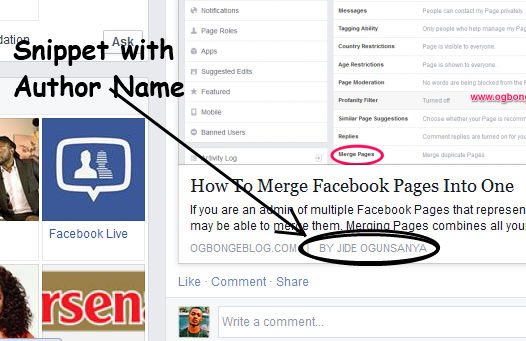 Now we can add our name in our unique Facebook profile url to make it easy to remember and look professional. Great but will you please tell me that how to connect that author name to a facebook account?